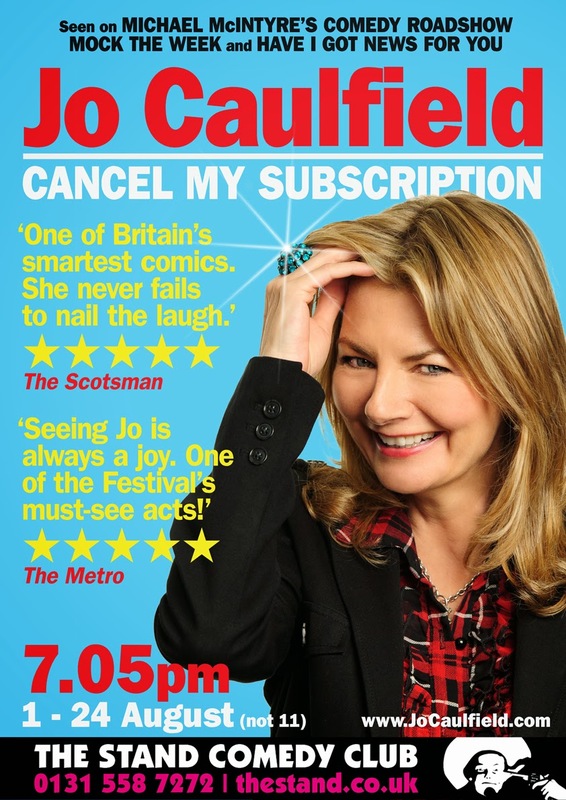 Award-winning comedian Jo Caulfield presents a brand new EDINBURGH FESTIVAL show. Audiences can expect razor-sharp observations and scandalous one-liners as Jo Caulfield shares her opinions on everything from women who always pick the wrong partner and men who continually quote gangster films, to families arguing on trains and the growth of passive-aggressive corporate friendliness. Jo also confesses to a romantic break that almost ended in divorce, re-enacts the world’s WORST birthday party and explains why her husband could never be a serial killer. And the show will be finished by 8.05pm so we can all go for drinks afterwards. Or let's ditch the show and go for drinks instead?? “Many of the points Jo Caulfield makes about the human condition would have sociologists stroking their beards in admiration, but her audiences tend to be laughing too much to notice" - The Times.